Here at Butterworth Barlow, our team is both personable and knowledgeable with extensive experience and skills. Barry graduated in Accounting and Finance at the University of Leeds in 1994. After training with a small established firm, Barry spent 15 years at Grant Thornton in the Liverpool and Warrington Offices. During the last 10 years at Grant Thornton, Barry was a Business Advisory Manager providing accountancy and advisory services to his portfolio of over 200 clients within the Small Business Services Group. Barry joined forces with Gavin in 2009 to form Butterworth Barlow. When not attempting to hit a small ball around a golf course or kick a ball around a 5-a-side pitch, Barry loves spending time with his young family in the great outdoors. Barry is a Fellow of the Institute of Chartered Accountants in England and Wales. With over 20 years of experience within various firms including Grant Thornton in Liverpool, Gavin started his own practice in 2006, and Butterworth Barlow was formed in 2009 alongside friend and partner, Barry Barlow. Gavin’s wide and varied experience has given him a creative and diverse skillset in advising clients on all aspects of their business. When not advising clients, Gavin enjoys holidaying with his family, skiing, eating out and going to the cinema. Gavin is a Fellow of the Institute of Chartered Accountants in England and Wales. Natalie has been a part of the team at Butterworth Barlow since the beginning. She originally joined the firm as an apprentice quickly gaining her AAT qualification prior to full ACCA qualification in 2015. Natalie manages a portfolio of business clients and provides accounts and compliance advice to a wide range of our client base. In her spare time, she enjoys spending time with her family and son Oliver, going to the cinema and reading. Claudia joined the firm in 2012 and quickly gained her AAT qualification. She became fully qualified with ACCA in October 2017. Claudia has a wide range of skills with specialisms in company secretarial services, bookkeeping, CIS, payroll and VAT returns. In her spare time, Claudia likes to keep fit, socialise with friends and try out different restaurants. Amy joined Butterworth Barlow in 2014 and quickly gained her AAT qualification. She is currently studying towards her ACA (ICAEW) qualification. Her specialisms include automatic pension enrolment, business accounts and payroll services. Amy likes to travel – most recently, she explored Thailand for three weeks! Ellie joined the team in April 2018. After gaining 3 top grades in her A Levels at Belvedere Academy in Liverpool last year, Ellie decided she would like to undertake an accountancy apprenticeship. She will shortly begin studying towards her AAT qualification. Ellie loves looking after her dog Maisie as well as shopping and going to the cinema. Imogen started at the firm in July 2018 following the completion of a successful accountancy apprenticeship working in industry. She was keen to join an accountancy practice and will shortly start the final year of her AAT qualification. Imogen is a keen swimmer who also enjoys going to concerts and spending time with her family. 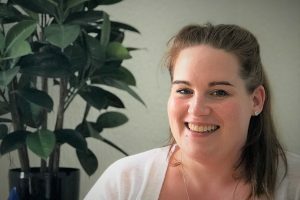 Gemma joined in July 2018 having gained her full AAT qualification via home study, following her decision to embark on an accountancy career after many years in the leisure industry. Gemma loves spending time with her two young daughters, Isobella and Scarlet as well as reading and listening to music.